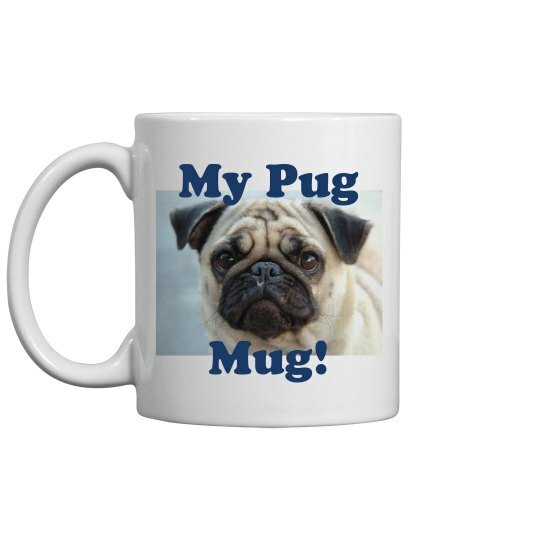 Want to put your pug's mug on a mug? Then do it! Upload the guy's pic and slap it on there. Easy as that, really. Custom Text: My Pug | Mug!